So today President Trump has cancelled a meeting with NK….. a meeting that has been a long time coming…..and considering that NK has full nuclear capability (proven) would be a smart thing to talk about. The way that you could interpret that is you give up your nuclear weapons and regime change follows……. So NK had a predictable answer………..
North Korea’s Vice Foreign Minister Choe Son Hui on Mike Pence’s interview with the Fox News Channel. This answer I personally find predictable and the correct answer……. 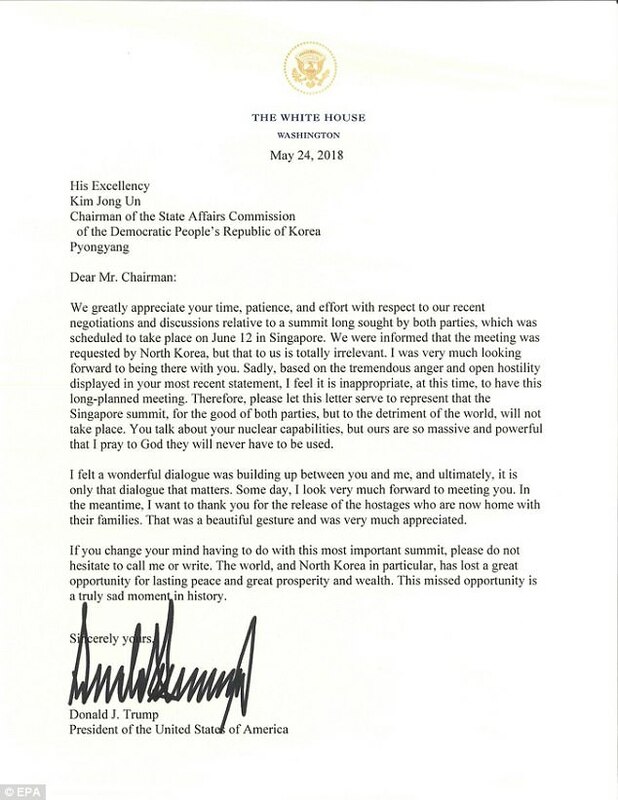 an answer which other countries find logical given their tone…..
Singapore, which was to host the historic summit, said it also “regrets” the cancellation.In a Twitter post, the country’s foreign ministry said it hoped “efforts to find lasting peace and stability on the Korean Peninsula will continue”. Antonio Guterres, UN secretary-general, said he was “profoundly worried” over Trump’s decision. “I am deeply concerned by the cancellation of the planned meeting in Singapore between the president of the United States and the leader of the Democratic People’s Republic of Korea,” Guterres said at the University of Geneva on Thursday. The United Kingdom also expressed disappointment with Trump’s decision, with a spokeswoman for Prime Minister Theresa May calling for an agreement to “bring about the complete, verifiable and irreversible denuclearisation of the Korean Peninsula”.Britain will continue to work with its partners to that end, the spokeswoman added. French President Emmanuel Macron, meanwhile, said he hoped Trump’s move “was just a glitch in a process that should be continued”. There are so many things wrong with this letter given the gravity of the issue and really seems to miss every major point. Firstly using the term irrelevant at that point. Secondly “Anger and Open hostility” Given Pence’s remarks just what else would you expect? Thirdly… His comments on nuclear capabilities are so very bad. Fourthly… He is rubbing their faces in the mud that he conned them into releasing hostages. Fifth The US NOT NK cancelled the meeting…… and to think they would ever ask for another is pushing the boundaries into stupidity. I am starting to think this president wants a nuclear war with somebody….anybody!